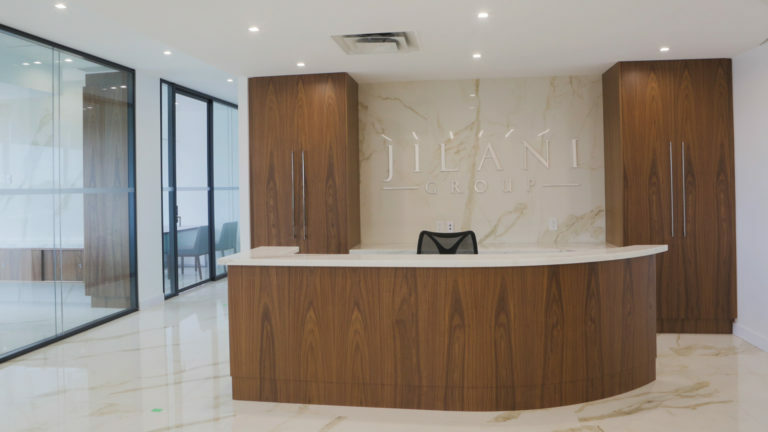 Jilani Group Inc. is a diverse and ever-growing commercial real-estate firm serving the Toronto area. 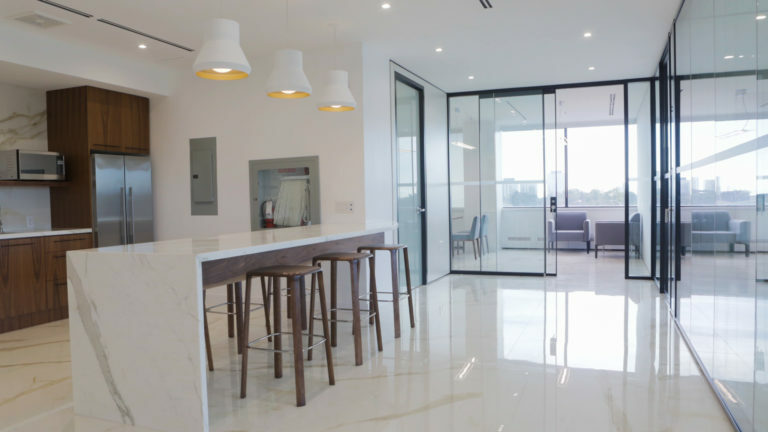 For their new 3,000 sq ft. office space they were seeking something special; a sophisticated, contemporary environment that reflected their unique brand and culture. 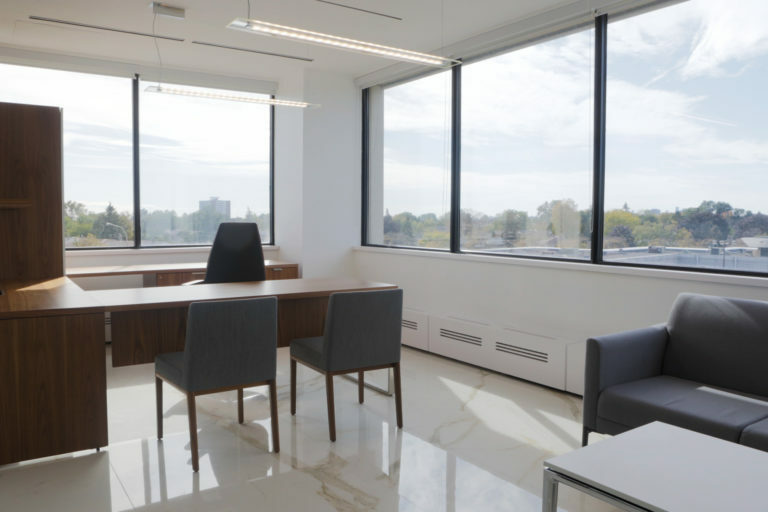 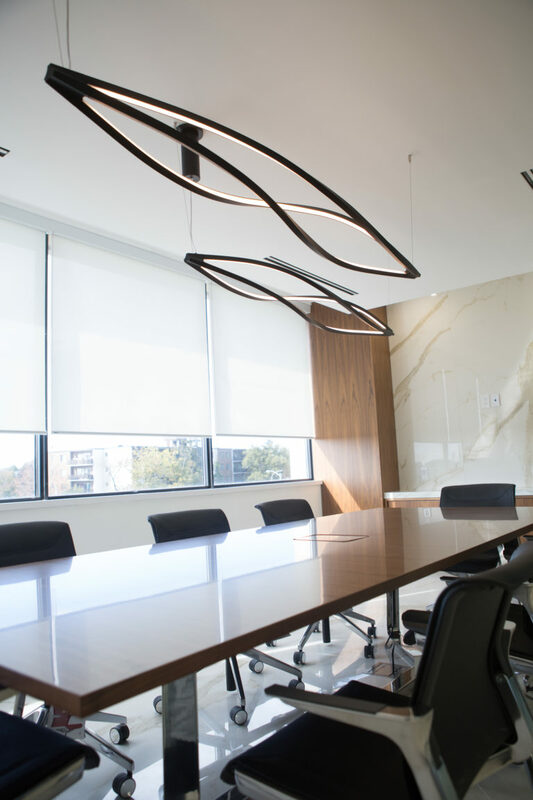 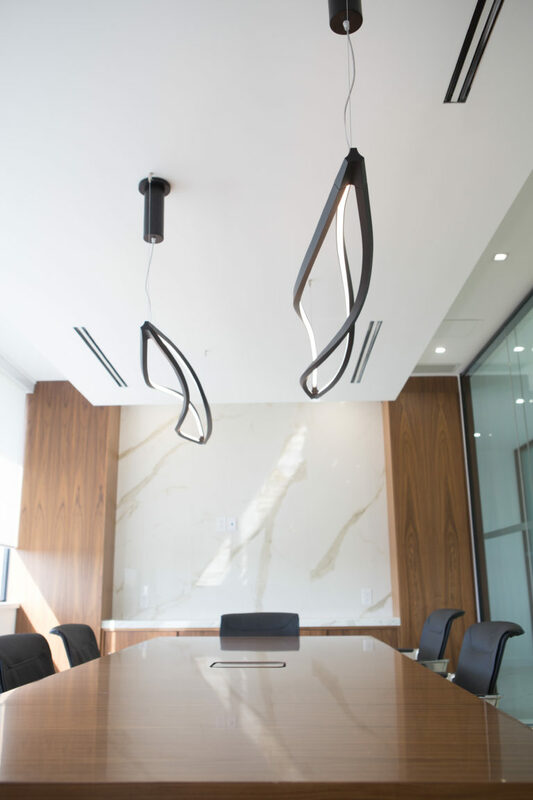 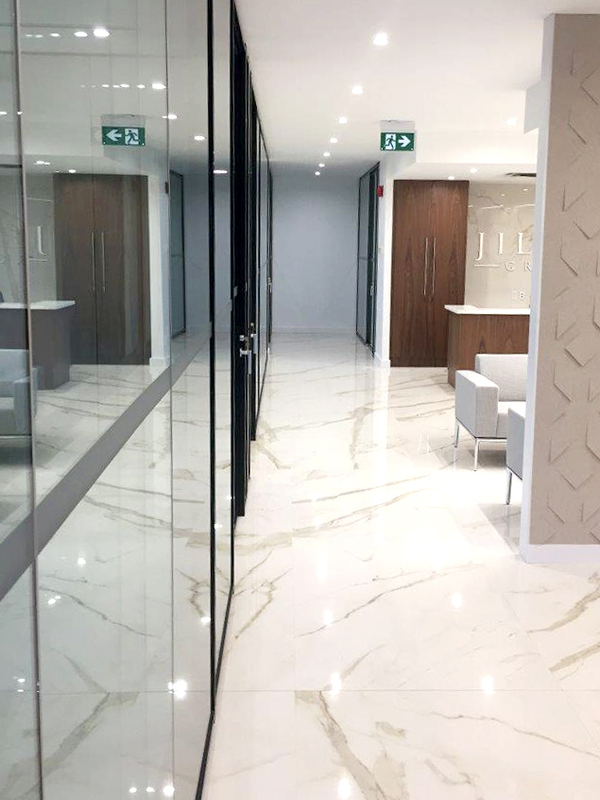 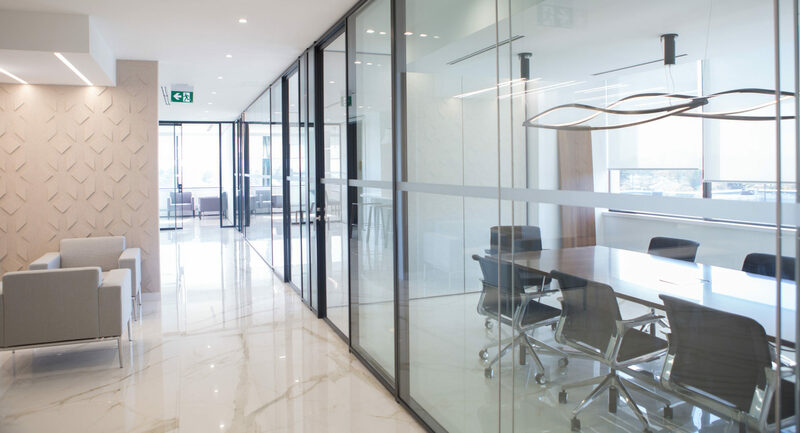 Truspace answered with a gorgeous design including a welcoming reception area that features marble walls and floors along with custom millwork, a series of private glass-enclosed office spaces and boardroom, carefully chosen veneer furniture throughout. 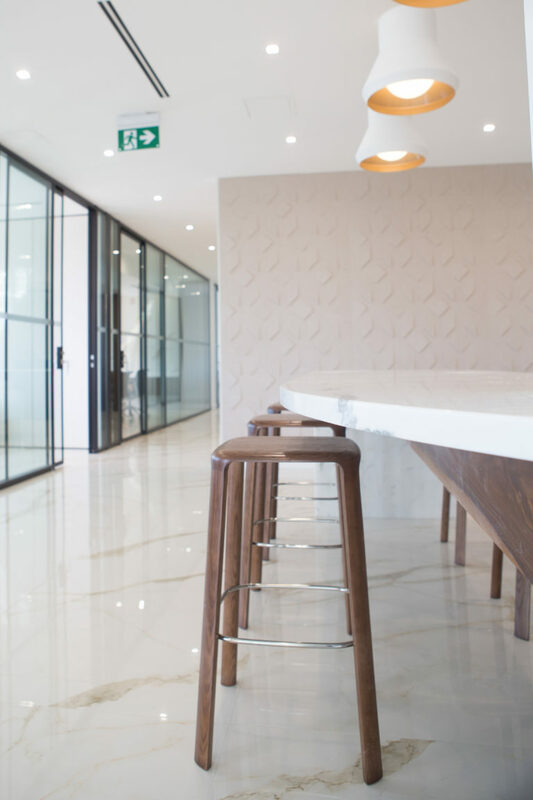 We also designed and built a bright, modern kitchen area featuring a gorgeous long marble counter with stool seating on both sides to encourage employees to come together socially to foster a greater sense of workplace culture and innovation. 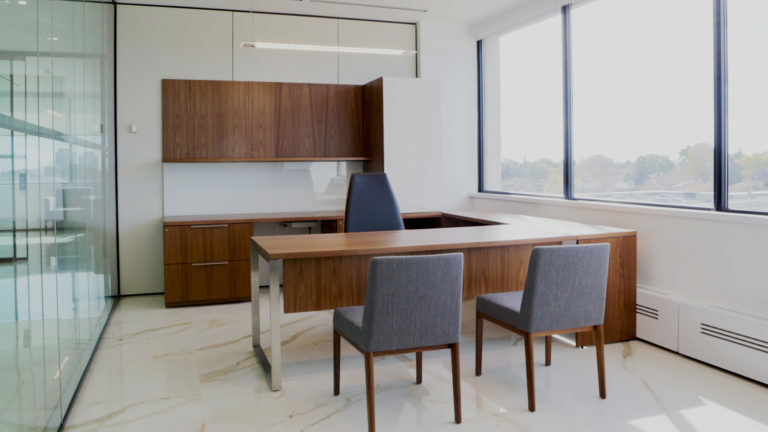 These opulent, high-end finishes will usher future tenants into a world of luxurious style, and highlight the show suite, which is the center of the experience.